Starting Monday the Instigation Festival returns to New Orleans. 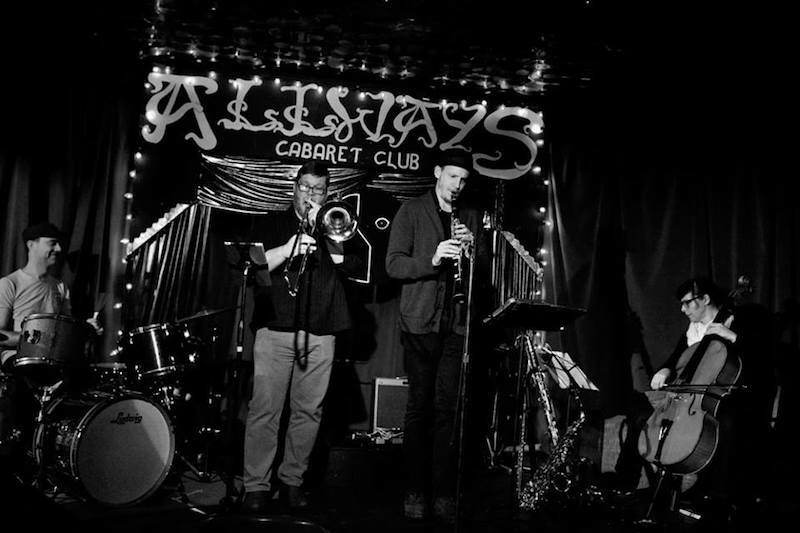 This event began in 2016 as a collaboration between improvisational musicians from Chicago and New Orleans to bring cutting edge events to both cities. After a great run of shows in Chicago this fall, the festival returns south for the Spring. Things get underway Monday night with a throw down at the Sidebar in Mid-City featuring a number of heavy performances included the always excellent trio of Hamid Drake, Nobu Ozaki and Rob Wagner. From there, the festival bounces to the Hi-Ho Tuesday with the Kobra Quartet featuring Aurora Nealand, Anton Hatwich, Steve Marquette and Paul Thibodeaux. On Wednesday, the New Quorum will host performances by DG Uprising, Joe McPhee with Hamid Drake (!) And Scanlines. On Thursday, the curated performance Be/With is the early show at Art Klub while the DKV Trio (Hamid Drake, Kent Kessler, Ken Vandermark) are joined by Joe McPhee for the late show at the Allways Lounge. Finally on Friday things come to a crescendo with The Instigation Orchestra and Djaspora’s Dance Collective presenting “Social Play Dance Party.” The Orchestra will consist of Jeff Albert, Hamid Drake, Anton Hatwich, Katinka Kleijn, Liah Kohl, Damon Locks Steve Marquette, Aurora Nealand, James Singelton, Paul Thibodeaux, Ken Vandermark and Mars Williams. Together these performers represent not just the best that Chicago and New Orleans have to offer but some of the most esteemed improvisational jazz performers in the world right now. Instigation brings together disparate talents in remarkable spaces to make for simply amazing nights of music. This is a great opportunity to learn about improvisational jazz and see some all star performances. Tonight, The Suffers are at Gasa Gasa. Tomorrow, Emma Ruth Rundle with Ex Specter + Thou are also at Gasa, and Malevitus and the Mishap Marching Band are at Siberia. Saturday, Panic! At The Disco is at the Smoothie King Center and Jmsn are at Gasa. Monday, the Instigation Festival opens at the Sidebar and continues all week (see above). Tuesday, the Glenn Miller Orchestra is at the Orpheum. And Wednesday, Slothrust is at Gasa.